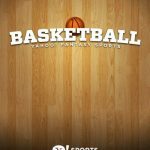 We had already given you a comprehensive list of fantasy NBA tips in our Yahoo Fantasy Basketball strategy guide for the upcoming 2015-16 season. Just as a reminder, this is not an actual basketball mobile game like MyNBA2K16, but rather an app that allows you to run a fantasy NBA league, or manage your team while on the go. 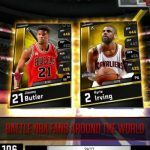 It’s available for Android and iOS devices, so regardless whether you own an iPhone/iPad or an Android handset or tablet, you can view your players’ stats (based on actual NBA game results), add or drop players, message other general managers, or talk smack to them to add spice to your matchup. 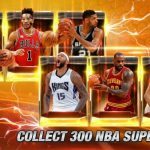 So without further ado, here are five more Yahoo Fantasy Basketball tips and tricks that can help you in building the perfect fantasy NBA team, and possibly beating out your friends or other players from around the world in your chosen league. Take note that these tips are based on the assumption that you’re playing in a league with 12 to 16 teams, with 12 to 14 players per team. This is where research comes into play; not only should you check Basketball-Reference.com, Yahoo Sports, or other resources for players’ 2014-15 stats (including their per-36 minutes numbers to simulate full game performance if starting), but also fantasy basketball resources for a list of sleepers, or potential breakout players. Usually, these would be promising youngsters who may get more minutes due to a veteran leaving or being injured for a while, or possibly because their veteran competition isn’t that strong. Conversely, sleepers can also be guys traded to another team and likely to get lots more playing time in their new team, again due to injuries or a lack of competition at their position. Last year, centers Rudy Gobert (Utah) and Hassan Whiteside (Miami) were among the big breakout stars, and they’re now ranked highly on Yahoo’s pre-draft rankings. This year, you might want to give Jusuf Nurkic (Denver) a look – he doesn’t have much competition at center, and he had some nice per-36 numbers last season. And with Detroit’s Brandon Jennings still on the injured list and possibly very rusty and gimpy upon his return, maybe it’s time to give Reggie Jackson a shot if you’re looking for a guard? Based on his play upon joining the Pistons midway through 2014-15, he’s good enough to hold down the starting PG spot all season long. It may be tempting to go for potential blue-chip rookies like Minnesota’s Karl-Anthony Towns, the Lakers’ D’Angelo Russell, or Philly’s Jahlil Okafor. Remember, though, that these are kids playing their first season in the NBA, and they shouldn’t be expected to put up superstar numbers right off the bat. Further, there’s a chance you may be dealing with the next Anthony Davis…or the next Anthony Bennett. It’s hard to tell with rookies. It may be a sound idea to select a Top 5 NBA draft pick in the fourth to sixth rounds, but in such a case, you may want to stash that rookie in your reserve list until he becomes productive, or drop him if he’s still playing 20 minutes per game or less by the 25-game mark. The best thing to do, really, would be to lay off the rookies, and if you see a Top 5 2015 draftee in the eighth round or later, go get him. At least it won’t hurt that much if you have to drop him eventually. A lot of the leagues I’ve joined through the years didn’t differentiate between power and small forward and shooting and point guard. It was simply two forwards, two guards, one center. So with that in mind, don’t draft a small forward just because your starting lineup doesn’t have one in the real NBA. A starting lineup of Stephen Curry (Golden State, PG), Gordon Hayward (Utah, SG), Danny Green (San Antonio, SG), Serge Ibaka (Oklahoma City, PF), and Zach Randolph (Memphis, PF) might not work in real NBA, but is fantastic in fantasy NBA because in here, Hayward and Green both qualify as forwards or guards, and Ibaka and Randolph both qualify as forwards or centers. Besides, their (potential) stats all add up to give you strength in a wealth of categories. It may have crossed your mind that the Clippers’ Paul Pierce may make a great late-round selection because he’s been in the NBA for nearly two decades and has made the All-Star team several times. Or maybe there’s a reliable journeyman you fancy because he won’t hurt your team in any way? We say nay to that. The later rounds in the draft are where you can experiment with your team – this is the point where you’ve drafted your starters and utility players. This is the time for you to draft your reserves, which means the ones whom you’ll ideally be playing the least. Aside from rookies, this is the time for you to choose those deep sleepers whose name you don’t see in any major sports site or fantasy sports blog as a potential breakout player. Once you’ve drafted your team, expect that you’ll be cutting a player or two before the actual NBA season begins. Check the preseason boxscores regularly and look out for potential sleepers who are putting up much better numbers than expected. But don’t jump ahead and add them to your lineup if they’re free agents in your league. It’s possible that someone may have had a 30-point game because a regular starter or two wasn’t playing; some teams tend to rest their stars in the preseason, and play them less, or not play them at all in some games. But if you’re reaching the end of the preseason and said potential sleeper is still putting up big numbers, then go right ahead and add him, but make sure you drop a late (10th round or lower) selection, preferably an aging veteran or a first-year player. You wouldn’t want to look silly for adding a dud who doesn’t end up playing much after all, while dropping someone who turned out to be a breakout star.